In November 2017, the United States Senate confirmed Peter Robb as the new General Counsel for the National Labor Relations Board (“NLRB”). On December 1, 2017, Mr. Robb issued Memorandum GC 18-02 (“Memorandum”) in which he outlined several changes in NLRB policy. The anticipated shifts in NLRB priorities and strategy are expected to be a welcome change for employers as the Memorandum signals Mr. Robb’s intention to change or rescind many of the more controversial initiatives pursued by the NLRB during the previous administration. As the top lawyer overseeing NLRB enforcement policy, the General Counsel’s directives guide NLRB Regional Directors. In his Memorandum, Mr. Robb rescinded seven advice memoranda his predecessor had previously issued, including a memorandum that had served as the basis for the NLRB finding many relatively common employee handbook policies illegal. Such policies included prohibitions against disrespectful conduct, rules prohibiting employee use of employer logos, blanket prohibitions on recording workplace activities, and rules protecting the confidentiality of investigations. Mr. Robb’s Memorandum also rescinded a former directive that had required misclassification of employees as independent contractors to be treated as an unfair labor practice. A series of decisions that found common employer handbook policies to be unlawful, such as a prohibition against “insubordination or other disrespectful conduct” on the basis that such a policy might chill employees’ right to lawfully discuss the terms and conditions of their employment. While the Memorandum cautions that it is not to be read to “imply how the General Counsel will ultimately” argue cases or weigh in on certain policies, it is evident that the NLRB is undergoing a shift in emphasis and priorities which will likely roll back many of the union-friendly directives issued during the Obama administration and which may ultimately provide welcome relief to business groups and employers who have been struggling with the pro-employee agenda of the former Board. Employers would be well-advised to stay on top of this changing legal landscape. 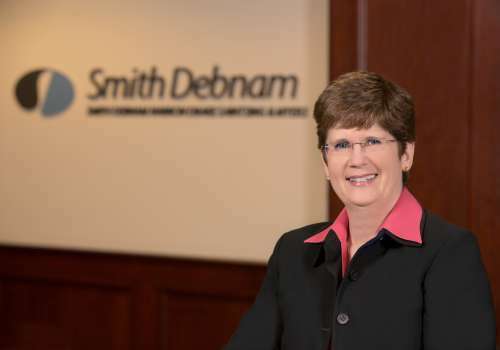 If you have questions or concerns about this NLRB Memorandum or other legal issues, please feel free to contact Connie Carrigan at ccarrigan@smithdebnamlaw.com.